Is the current model of the Camino de Santiago sustainable for the normal functioning of cult temples? 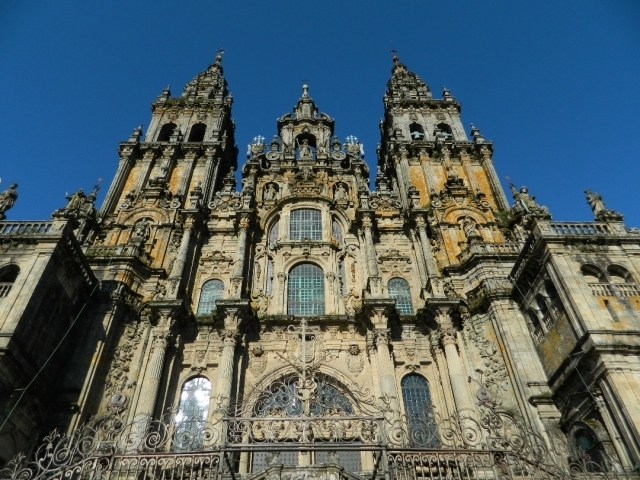 It seems that in the case of the cathedral of Santiago will have to find a solution to the high influx of pilgrims arriving in the Galician capital, which this year have set a record never seen before. Precisely on this problem has been pronounced the archbishop of Santiago de Compostela, Julian Barrio, who has participated in a meeting organized by Nueva Economía Fórum. Barrio has said that a formula is being studied by the ecclesiastical authorities in order to be able to attend to all the pilgrims who arrive at the cathedral at the end of their Jacobean route, reducing the stress that the temple suffers, but without recourse to the entrance fee. The option that is being discussed is to attend the pilgrims at different times and different acts. The archbishop also has pronounced in this forum on the long works of rehabilitation of the facade of the cathedral of Santiago. Barrio has been confident that the works will be finalized for the upcoming Holy Year 2021, as the final deadlines place the final auction for the end of 2019. The goal of all institutions seems to focus on this key date for the Camino de Santiago , When there are predicted records of influx of pilgrims not seen until now. Igual podrían cobrar algo en plan 20 céntimos y usar toda la recaudación para avanzar más rápido con las obras, que están siendo eternas.